If you’re looking for the best towing service in San Diego, you’ll be happy to learn that Spark Towing is here to provide you with the fastest and most affordable towing services. 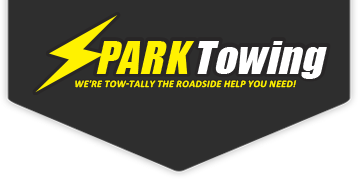 Spark Towing will get to your car faster than any other company in the area, and we’re ready to back up this claim. Fast services and unbeatable rates are not all we offer you. Spark Towing is open on a 24-hour basis every single day—and that includes weekends and holidays. This is our promise to you: No matter how late it is when you call us for a towing service, we’ll always be there for you. In fact, why don’t you simply pick up the phone right now and give us a call? A trained, licensed, and insured tow truck driver will be there in no time! Flatbed Towing: A flatbed truck is a specialized truck with, obviously, a flat bed. Flatbed towing is among the safes methods of transporting a car from A to B. Heavy-Duty Towing: If you need to have a heavy vehicle towed, call us now for a heavy-duty towing service. We have the equipment and the know-how to transport even the heaviest of cars. Local Towing: Moving to a new apartment in town? Got into an accident and need to get to the nearest auto body shop? Call us now for an affordable local towing service. Long-Distance Towing: Moving out of town? Call us now for a long-distance towing service.